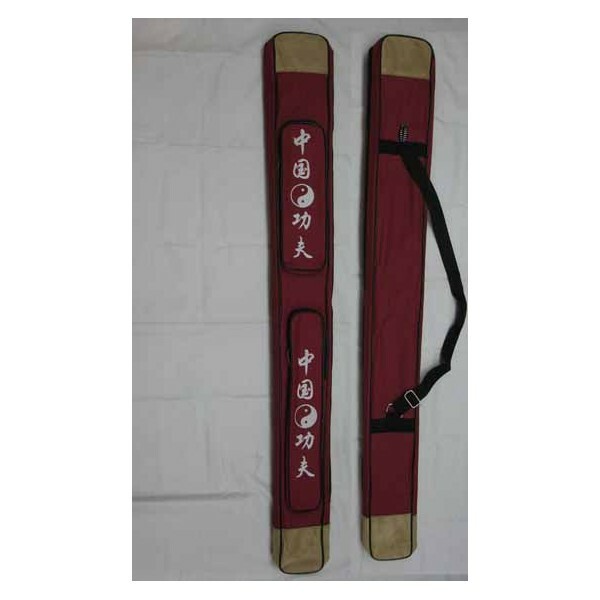 Sword/Broadsword Carrying Case With Yin Yang Symbol Red - Bok Lei Po Trading Inc. This carrying case is made of canvas. The main conparment can fit in one straight sword and one broadsword or two straight swords for up to 41 inches total length. The sizes of two out side conpartments are 11.5"x3.5" and 15.5"x3". 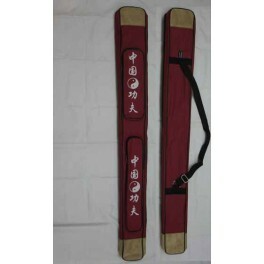 you can put your kung fu fan, nunchaku, tai chi ruler or other small things in them. The adjustable shoulder strape makes a lot easier and more confortable to carry your case. The Chinese charactores mean "Chinese kung fu".